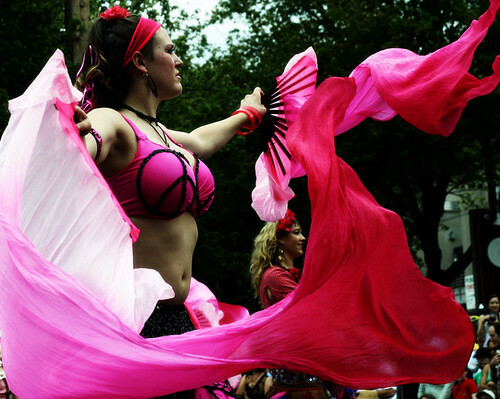 Fremont Summer Solstice Parade, Seattle, WA, a photo by Malachy21 on Flickr. The summer solstice is here once again! Ever since I was a child, I've loved going to the solstice parade. Even when weather conditions are less than summery, its so interesting to see what Freemont and greater Seattle have put together. From painted bicycle riders to elaborate floats and unique performances, this celebration truly captures much of the free spirit and artsyness that is Seattle.